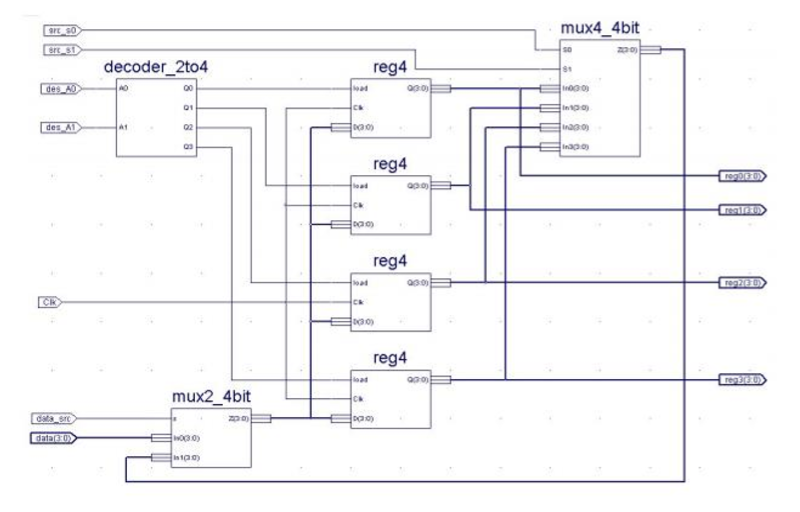 Design the VHDL components (Register, Decoder, and two Multiplexer 16 bit) and interconnect them to build a register file. The schematic shows only four registers. Your solution should implement eight registers. The diagram provided as a example uses a 2:1 and 4:2 multiplexer, this dealt with 4 bits. 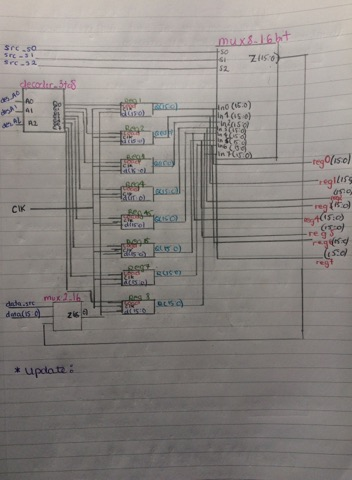 Now that I've to create a circuit with 16 bits, what are my inputs into the multiplexer, in relation to vhdl code? I've completed a sketch of the circuit, am I correct? Is the code the right format? For the decoder is this correct? Is this code correct for the instance of a regsiter? Perhaps you should start by writing the VHDL for the circuit as shown. Then, try to understand which parts of the code pertain to the width of the data buses, and which parts pertain to the number of registers. Not the answer you're looking for? Browse other questions tagged circuit-design multiplexer register decoder or ask your own question. Differences between a FET multiplexer and regular digital multiplexer? Finding the right multiplexer for my project?